If the Next key is not visible, you can hit Enter to accept the Agreement (you may have two Agreements depending on your installation). You can also reset your windows font size to correct this issue. You can do this using the following steps. 1. Right click on your desktop, and click on "screen resolution". 2. 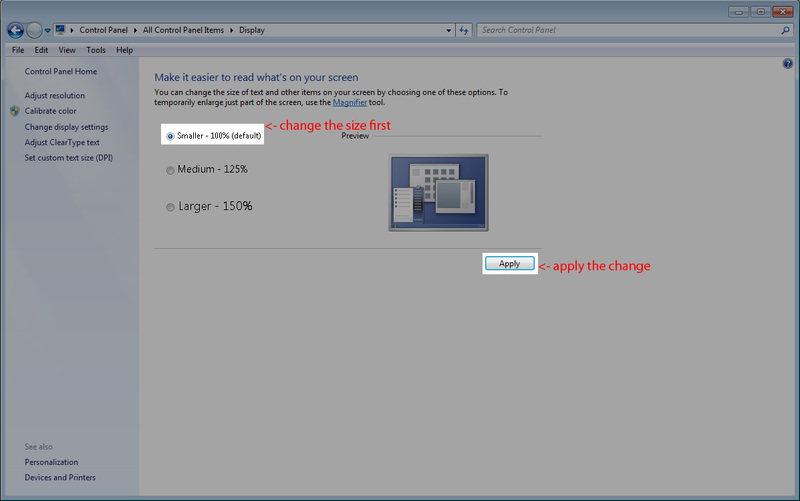 In the screen resolution window, click on the "make text and other items larger or smaller" link. 3. Select the option for "smaller 100% (default)", and then click on apply. 4. You will be asked to log out, click on the "log off now" button, then log back into windows. You must log off for this change to take effect. 5. Now try running the Trainz: A New Era installer.